Come join HamSCI at its second annual workshop! 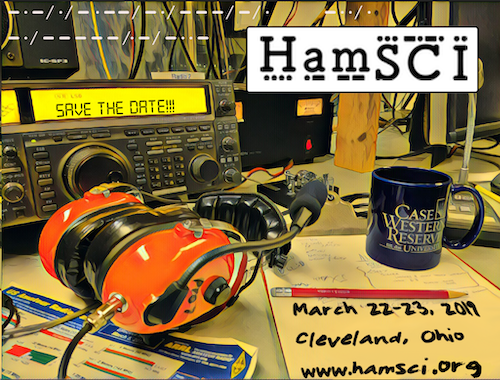 The workshop will be held March 22-23, 2019 at Case Western Reserve University in Cleveland, OH and seeks to bring together the amateur radio community and professional scientists. Anyone interested in this workshop is invited to join. We are especially looking for speakers with presentations showing analysis of ionospheric observations, ideas and proposals for the design of the Personal Space Weather Station and instrumentation for the 2024 eclipse. We will also accept other presentations related to amateur radio and science. Presentations will be in the form of oral talks, posters, lightning talks, and demo room tables. Abstract and acceptance and presentation format will be chosen by the Science Program Committee. If you would like to present, please e-mail your abstract to Nathaniel Frissell, W2NAF, at hamsci@hamsci.org by February 10, 2019. Presenters will be notified by March 1, 2019. You may request a poster presentation format. Due to time constraints requests for oral presentation slots are not guaranteed. This year’s theme will be “Ionospheric Effects and Sensing,” which includes the use of amateur radio techniques for the characterization and study of ionospheric phenomena such as traveling ionospheric disturbances, sporadic E, response to solar flares, geomagnetic storms, the 2024 total solar eclipse other space weather events. In order to facilitate this science, continued development of the HamSCI Personal Space Weather Station and discussion of integration of amateur radio into the collegiate curriculum will also take place. Featured speakers include well-known amateur radio author Ward Silver, N0AX, propagation specialist Carl Luetzelschwab, K9LA, and MIT Haystack Observatory Ionospheric Scientist Dr. Larisa Goncharenko. We will also accept presentations relating to amateur radio and science, particularly space and atmospheric science, space weather, and radio astronomy. On Saturday afternoon, after lunch, the conference proceedings will continue at CWRU's think[box], a student manufacturing facility and makerspace that is open to the public. Attendees will participate in tours of think[box] facilities; tours of the Case Amateur Radio Club, W8EDU; and an amateur radio licensing session. There will also betime available for breakout sessions and committee discussions. The conference will close on Saturday evening with a screening of Contact at CWRU Film Society. Tickets to the film are complimentary with a conference badge. Friday Keynote: Ward Silver, N0AX, on "Ham Radio 2.0 - Science, Service, Skill"
Ward is the Lead Editor of the ARRL Handbook and the ARRL Antenna Book. He is the author of all three ARRL License Manuals and the Q&A Study Guides. He released the well-received "Grounding and Bonding for the Radio Amateur" in 2017. His 15 years of the monthly QST column "Hands-On Radio" has concluded but the columns are available in book form as a three-volume set. He also serves as a Contributing Editor to the ARRL and consults on a variety of projects and programs in the ARRL Contest Branch. He was awarded the ARRL's Bill Orr Technical Writing Award for a second time in 2016. You will also find his byline in the popular Wiley "for Dummies" series; Ham Radio (with a 3rd edition released in 2018), Two-Way Radios and Scanners, and Circuitbuilding Do-It-Yourself. An electrical engineer, he designed microprocessor-based products and medical devices for twenty years before beginning a second career as a teacher and writer. Ward was first licensed in 1972 as WNØGQP and enjoys DXing, contesting (elected to the CQ Contest Hall of Fame in 2015), and participating on his local emergency communications team. He is a co-founder of the World Radiosport Team Championships and is President of the Yasme Foundation. Invited Talk: Carl Luetzelschwab, K9LA, "Ham Radio for Space Scientists"
Carl started his radio career as a shortwave listener in the late 1950s, and received his Novice license (WN9AVT) in October 1961. He selected K9LA in 1977. He enjoys propagation, DXing (he’s at the top of the Honor Roll), contesting (he was NCJ Editor from 2002-2007), playing with antennas and fixing/using vintage equipment. 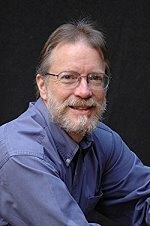 Carl is a graduate of Purdue University (BSEE 1969, MSEE 1972) and worked for Motorola and Magnavox/Raytheon as an RF design engineer (mostly designing solid-state RF power amplifiers). He retired in October 2013. He and his wife Vicky (AE9YL) reside in Fort Wayne and enjoy traveling, which has included DXpeditions to Syria, Market Reef and numerous trips to the Cayman Islands. Carl is currently the ARRL Central Division Vice Director. He has received the Bill Orr W6SAI Technical Writing Award, the YASME Foundation Excellence Award and the Indiana Radio Club Council Technical Excellence Award. 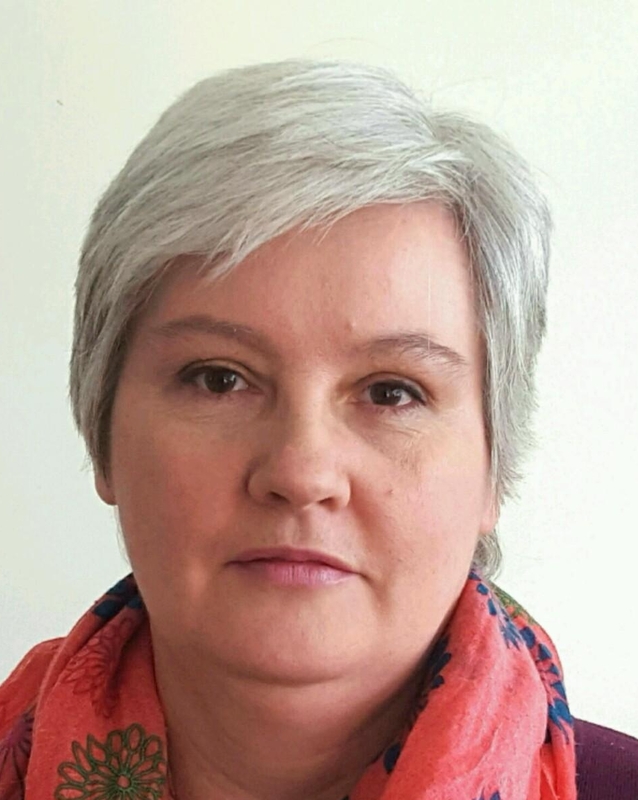 Invited Talk: Dr. Larisa Goncharenko, "Space Science for Ham Radio Operators"
Dr. Larisa Goncharenko is a research scientist at the Haystack Observatory, Massachusetts Institute of Technology. Her major areas of interest are ionospheric-thermospheric coupling, and the dynamics and electrodynamics of the ionosphere and thermosphere, with an emphasis on processes in the lower thermosphere and coupling with lower altitudes. Goncharenko's undergraduate and graduate education was in Physics (High Honors), 1988, at Kharkiv National Polytechnic University, Kharkiv, Ukraine. She has held research positions at Kharkiv National Polytechnic University (1988-1996) and Haystack Observatory, MIT (Visiting Scientist, 1994-1995; Postdoctoral Fellow, 1996-1997; Research Scientist, 1997 to present). Goncharenko's research in Ukraine was focused on ionospheric modification by HF heating facility (similar to those in Arecibo or EISCAT) and diagnostics of modifications with the Kharkov incoherent scatter radar. Her research at MIT includes experimental studies using multiple incoherent scatter radars, GPS TEC data, ionosondes, satellite data, and collaborations with multiple modeling groups. She is the recipient of the CEDAR Prize Lecture award (2012), NASA Group Achievement Award (2008), and an MIT Excellence Award (2003). She is the author or coauthor of more than 70 refereed publications. The Friday sessions and Saturday morning sessions will be held in the Premier Industrial Lecture Hall in the Dively Building on the CWRU campus. The Friday evening banquet will be held at Nighttown. On Saturday afternoon, proceedings will move to CWRU think[box] for workshops and demonstrations, as well as tours of the Case Amateur Radio Club, W8EDU. The conference will conclude with a screening of Contact at Strosacker Auditorium, presented by the CWRU Film Society. Paid parking is available near each venue. 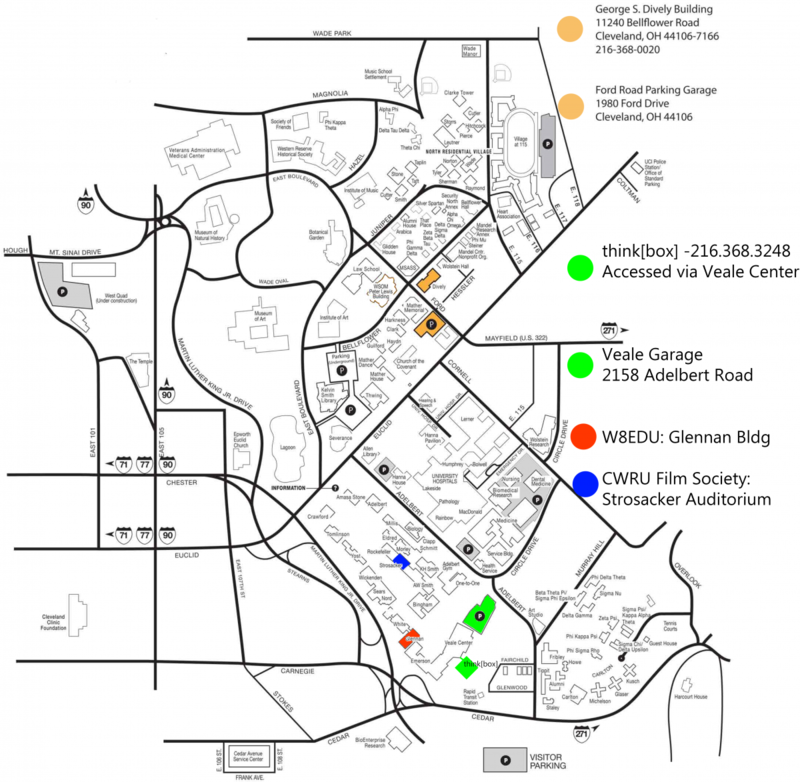 Near Dively, participants are advised to park in the Ford Garage. Parking for Nighttown is available next to the restaurant. When visiting think[box] and the other destinations on the Case quad (W8EDU, Film Society), attendees should park in the Veale Garage and enter think[box] through Veale Center. Breakfasts, lunches, and coffee breaks are included with registration for both Friday and Saturday. Special dietary needs can be specified when registering. The Friday Banquet Dinner will be hosted at Nighttown, with keynote speaker Ward Silver N0AX. Banquet tickets are included with Friday registration. Separate/additional banquet tickets may be purchased for $50 each. A block of hotel rooms has been reserved at the Cleveland Courtyard by Marriott, a short walk from the Dively Building. For the nights of March 21, 22, and 23, rooms are available at the CWRU nightly rate of $165. Participants may reserve a room by calling 1-800-MARRIOTT and identifiying themselves as part of the HamSCI group under CWRU. Reservations must be placed by March 1, 2019 in order to receive the discounted rate. Other nearby hotel options include Glidden House, a short walk from the conference, and the Tudor Arms Hotel, a short drive. Easy access to CWRU and the HamSCI meeting is available through the RTA Red Line, which connects directly to Cleveland Hopkins International Airport. If coming from the airport, take the Red Line to the Little Italy station. Every party should have a call-in frequency; if you have an HT, check in en route to ask directions or say hello. If you have questions, please e-mail hamsci@hamsci.org. Logistics questions will be directed to Kristina Collins, KD8OXT (216-368-3579) and science/program questions will be directed to Nathaniel Frissell, W2NAF (973-787-4506). The 2019 HamSCI Workshop is hosted by Case Western Reserve University in collaboration with the New Jersey Institute of Technology. 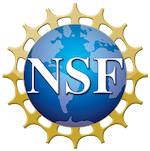 Financial support is provided by the United States National Science Foundation.